I’ve had a few questions since starting Lorelei Jayne and wanted to write a post answering them. I love communicating with my readers and seeing what you are creating please keep commenting and showing me your items! Q. How long have you been sewing and is it hard? A. I’ve been sewing full on since my oldest was born years ago. When i get a hobby i really go all out and get obsessed but i’ve only been designing and sewing for business for 2 years. I learnt to sew in high school and have been pretty crafty and creative my whole life. It’s also genetic (or so i think haha) My great grandfather was a tailor and both my grandmothers were dressmakers. My mum was very crafty when i was a kid and made our clothes. Is it hard… hmmm practice makes a huge difference. I try to sew 4 – 5 days a week. Basics are a good start and the learning never stops which is one thing i love about sewing! A. I’ve had blogs since i was 16. They were all personal blogs until i had a blog called This Novice Sewist which was also just for fun about sewing. Then i realised, hey i could do this as a business. Then i created Lorelei Jayne about 2 years ago. Q. Are you going to design other things than bags? A. Yes eventually i want to expand to children’s clothing patterns but for now i’m really enjoying bags! I also just released Label templates and i have made a few printables too! I really like releasing other useful products too! Q. Why do you sell licences for your free patterns? A. I offer the free patterns to reward my readers and to give them a chance to see what my paid patterns are like. However my free patterns are for personal use only. If you are wanting to make these to sell I ask that you buy my commercial licence. This is so i can keep creating free tutorials and patterns, your support means a lot to me and i really love making freebies as well as paid patterns. A. I don’t sleep… HAHA actually i sleep plenty. My kids are good sleepers, with routines. I work 4 days a week, work on the website and sewing almost every night, and on weekends during naps when i can. It’s not just a business it’s a passion. I’m always listening to podcasts or reading what i can about business and sewing. But when my kids are around it’s family time! I’m lucky to have good organisational skills. Q. What sewing machine should i buy. A. A first machine can be a inexpensive (about $100) machine or even a second hand one, i had a Globe 350 that i got from Freecycle as my first machine then passed it on to someone who wanted to learn and “upgraded” (not really) to a Elna 1000 which i then sold and got my Brother NS50 and I have big dreams for my next one. I use my mum’s Elna 1000 as a backup machine and it’s a good first machine because it is basic but works well. Q. 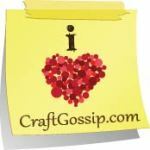 What do you hate sewing? A. I don’t love zips or button holes but they don’t stress me out any more. I love giving everything a go! If you don’t like doing something do it, then leave it a few weeks and try again. Q. How big is your fabric stash and how do you store it. A. It’s only about 3, 60 litre tubs full. and over flowing. Don’t ask about scraps… But it could be worse. I store it in tubs which is not ideal but we don’t have storage and my sewing room gets really cold, so i protect the fabric in tubs. I tend to buy fabric in small amounts 1-2 Metres or yards. It’s usually enough to make a bag or purse or a few kids outfits. If you have any questions put them in the comments below or link me on social media and i might do another one. I have a few big things coming up in the next few weeks. Check out my Shop!